Each year, the Silver Spurs Board of Directors carefully chooses two men to receive the honor of Coca-Cola Cowboy and two women to receive the Women’s Lifetime Achievement Award. 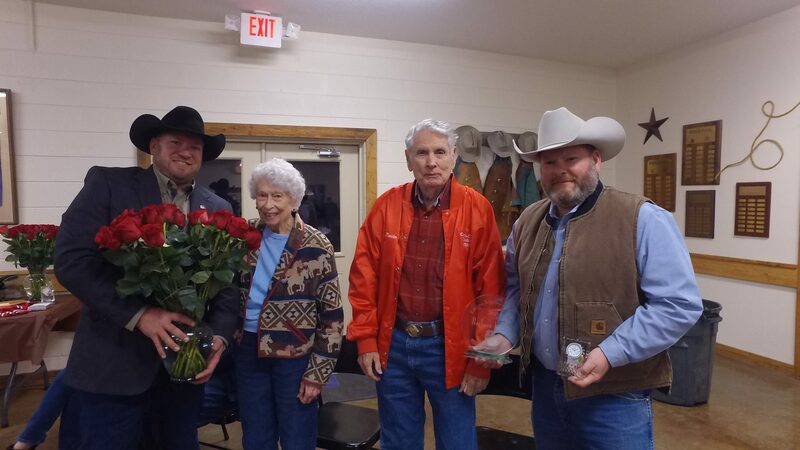 The Coca-Cola Cowboy award started in 1982 and the Women’s Lifetime Achievement award began in 1992, together honoring four Silver Spurs Club members that have dedicated their time and efforts to keep the Silver Spurs Rodeo and Osceola County’s ranching history alive. During the award ceremonies, dinner is served, stories are told and laughs are shared as the winners celebrate with their fellow Spurs members and family. 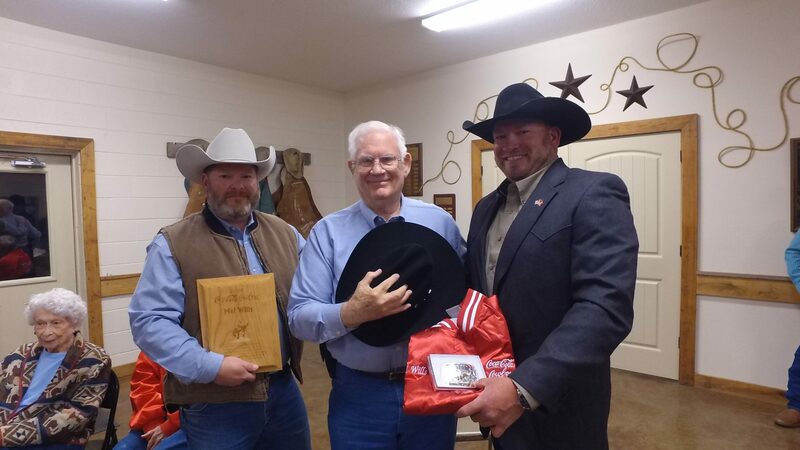 The Coca-Cola Cowboys are given a coveted bright red jacket with a black cowboy hat and the Lifetime Achievement Award winners are given an engraved plaque as well as a commemorative clock. On Friday, January 25th, 2019, Mel Wills and Jack Jensen were honored as this year’s Coca-Cola Cowboys. Alongside them, Barbara Kessler and Dorothy Jensen received the Women’s Lifetime Achievement award. 2019 Little Boss Chris Baker and 2019 Big Boss Chris Fluke award Mel Wills with a red Coca-Cola Cowboy jacket, black cowboy hat, and commemorative wood plaque. 2019 Little Boss Chris Baker and 2019 Big Boss Chris Fluke award Barbara Kessler with flowers, a glass clock and a commemorative glass plaque. 2019 Little Boss Chris Baker and 2019 Big Boss Chris Fluke awarded Dorothy Jensen with flowers, a glass clock and a commemorative glass plaque. 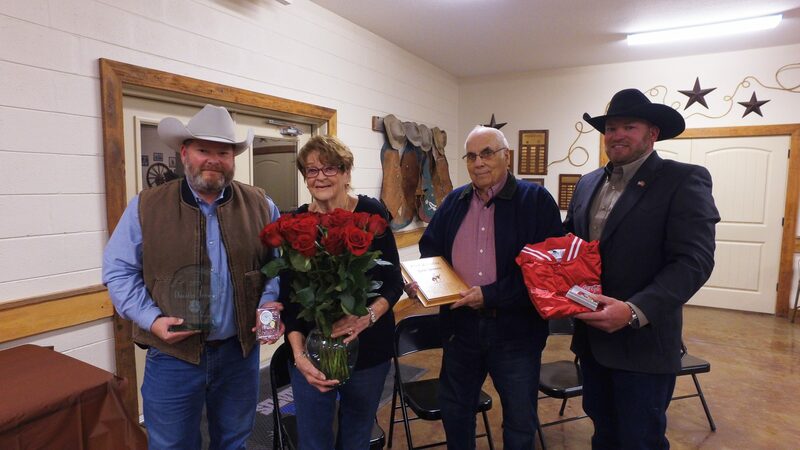 They also awarded her husband Jack Jensen with a red Coca-Cola Cowboy jacket, black cowboy hat, and commemorative wood plaque.